These A-line dresses have a fitted bodice complemented with a flared skirt like bottom. 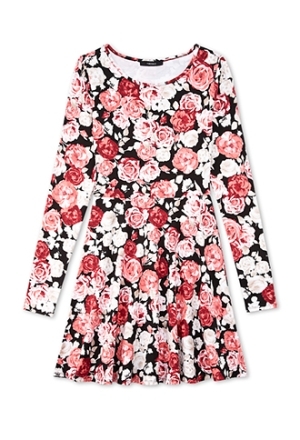 As asymmetrical outfits are quite popular, you will find skater dresses with high low ends. Lacy skaters sport a feminine get-up while velvet skater dresses are for an edgy yet trendy look. Whether you are a slim or a plus size woman, skaters look cool on all. Ankle-length boots or wedge heels look really cool with these summer outfits. A belt might highlight your doll-like appearance further.